This is bad news for lovers of Debenhams! Very bad news!! 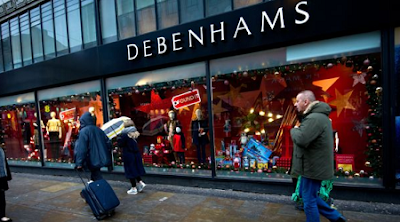 Department store chain Debenhams plans to close up to 50 shops with the loss of 4,000 jobs after losing almost £500m last year. Most stores are recording loss now.